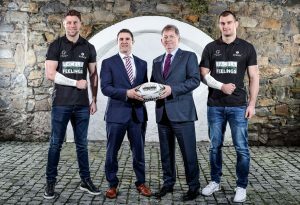 Tackle Your Feelings, a mental wellbeing campaign run by Rugby Players Ireland in partnership with Zurich, was first launched in March 2016. By leveraging the profile of rugby, the initiative sought to ignite widespread and sustainable change across the island of Ireland in how people think and act around their mental wellbeing. Today, as the first phase of the campaign draws to a close, an new report demonstrates that Tackle Your Feelings has had a real impact on Irish people’s attitudes towards mental wellbeing. The goals of the campaign were to a) reduce stigma around mental wellbeing; b) change behaviours and c) create a movement whereby people began to champion the message of the campaign in their own communities. The success of these objectives has been assessed and evidenced using a specially tailored impact measurement framework devised in association with MT Impact Consulting. Tackle Your Feelings generated encouraging findings in relation to breaking down stigma in individuals. This was achieved through a role modelling aspect that saw almost 1/3 of professional rugby players in Ireland supporting the campaign in some form. 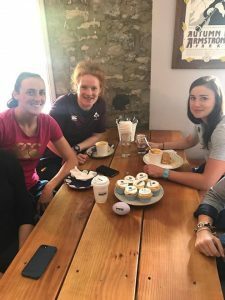 8 rugby ambassador videos were also released, while campaign content was viewed over 23 million times across social media. On an individual level, there was a reduction in the number of people perceiving barriers in terms of looking after their own mental wellbeing while target audiences reported greater levels of comfort in talking about their feelings as a result of attending Tackle Your Feelings events, workshop participants increased their levels of comfort by 60%. The development of the Tackle Your Feelings App, launched in February 2018, has been a significant mechanism by which the campaign has started to change people’s behaviours. By equipping people with the tools and techniques to proactively work on their own mental wellbeing, the App has impacted upon people in 35 countries around the world. Tackle Your Feelings Workshops have also been a success, with evidence to show that participants increased their confidence in their ability to look after their own mental wellbeing. Furthermore, participants reported becoming more proactive and taking more frequent action to look after their mental wellbeing. As the campaign progressed, both people and institutions stepped forward to become champions of the campaign message within their own communities. Examples include St. Mary’s College, Rathmines who brandished the Tackle Your Feelings logo throughout their Leinster Schools’ Senior Cup matches of 2017 and 2018. Furthermore, several multinational companies offered their non-monetary support to amplify reach and impact. 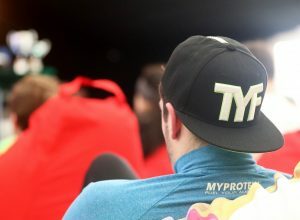 With tackleyourfeelings.com being visited in 130 countries, the movement also has a global impetus. This year Tackle Your Feelings will launch in Australia through the AFL Players Association, the AFL Coaches Association and Zurich Australia. Anthony Brennan, CEO, Zurich Ireland said: “It is fantastic to see the positive impact that the Tackle Your Feelings campaign continues to have on peoples’ mental wellbeing. Zurich supports the approach that taking steps to build mental resilience helps people better prepare and cope with life events. By being proactive and taking steps each day to be honest about our own mental wellbeing, this can help us achieve greater satisfaction and enjoyment in life. For the Tackle Your Feelings Impact Report click here.